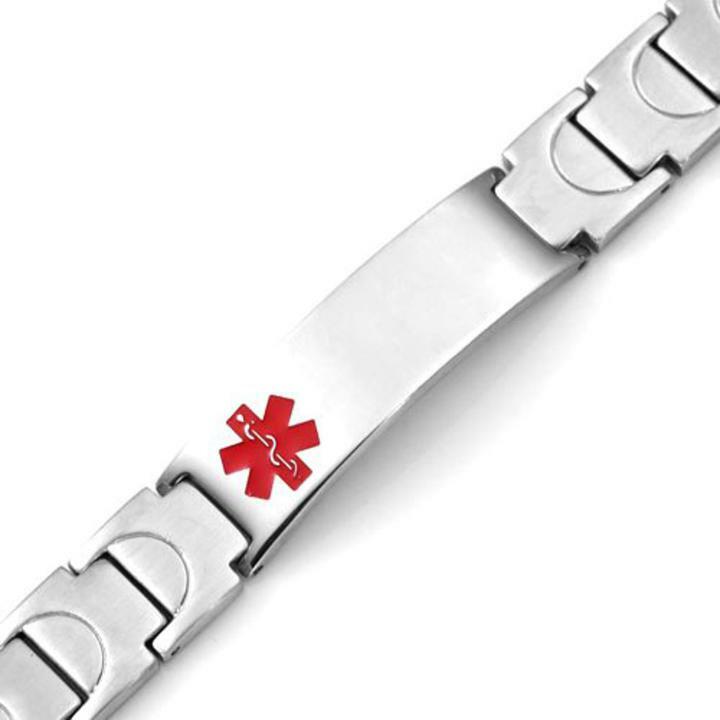 This stainless steel men's medical id alert bracelet with polished plate and brushed finished links makes this a very stylish Medical ID Bracelet. There are magnets on the underside of each link. Available in sizes 8 and 8 1/2 inch. Available with free black laser engraving on both front and back.